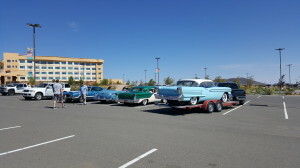 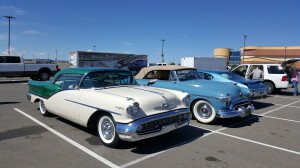 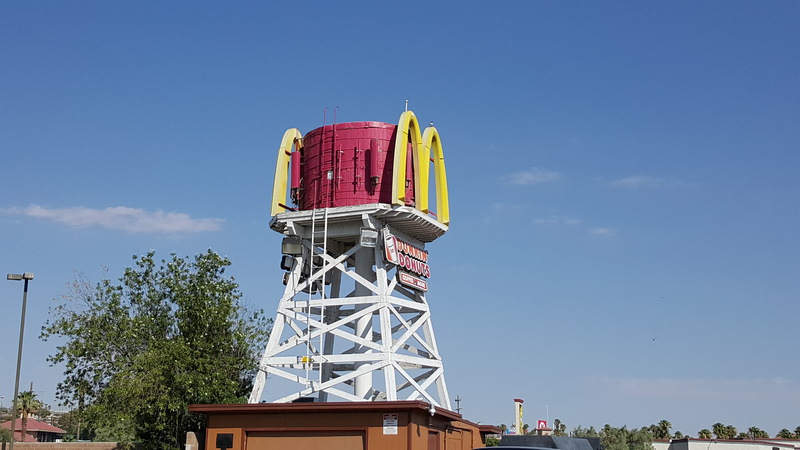 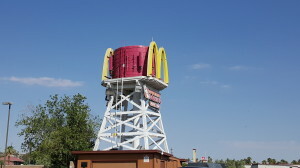 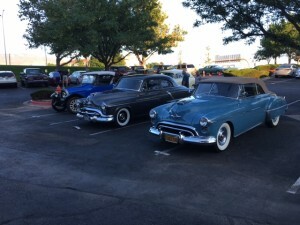 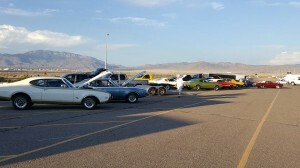 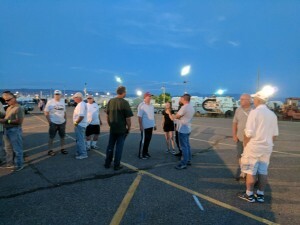 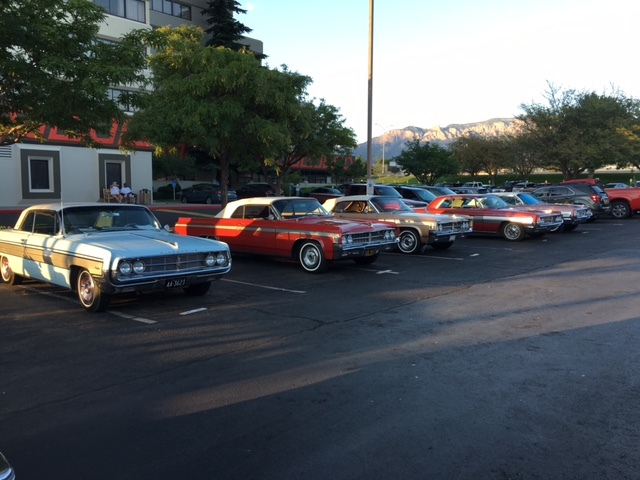 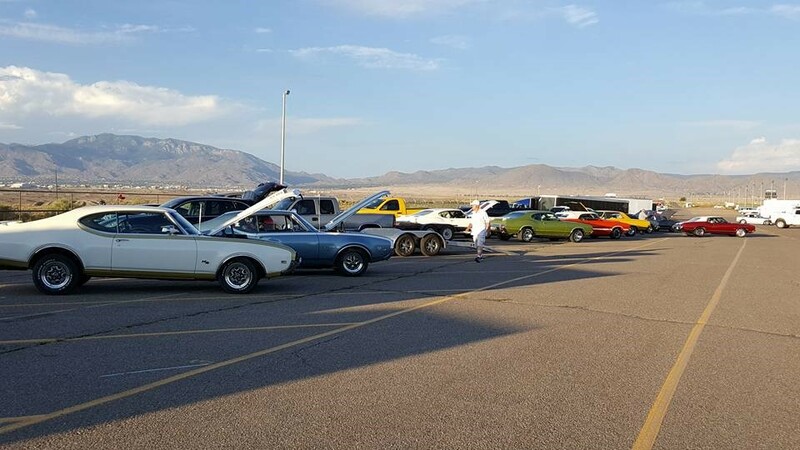 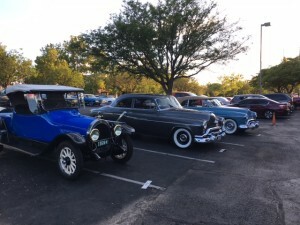 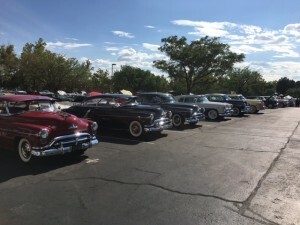 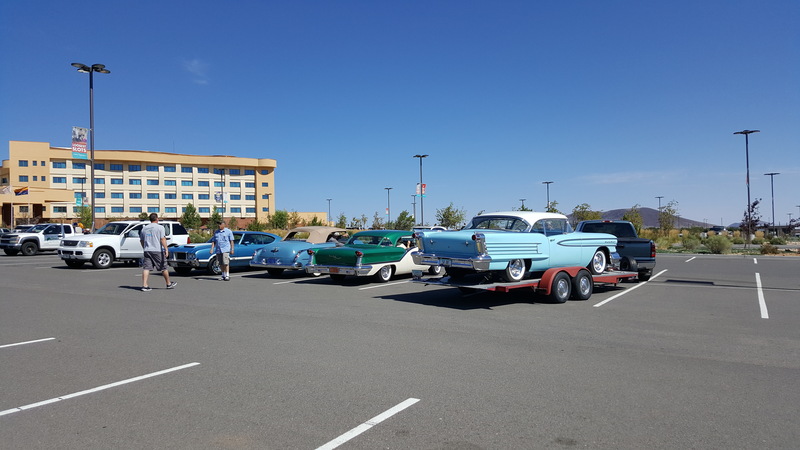 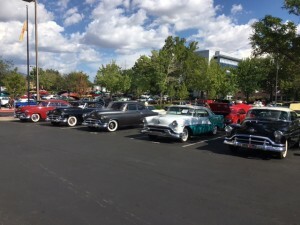 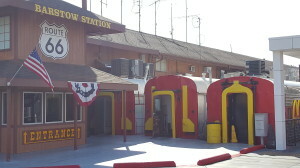 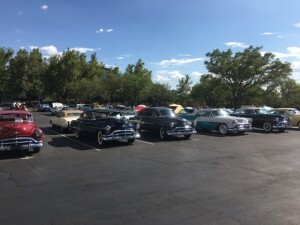 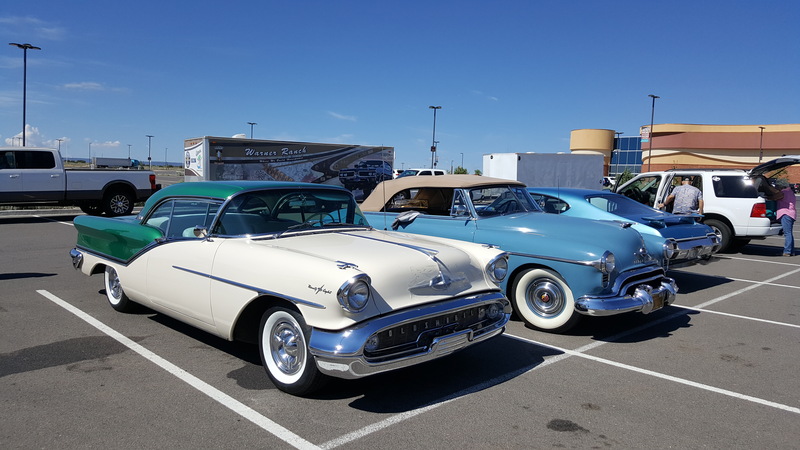 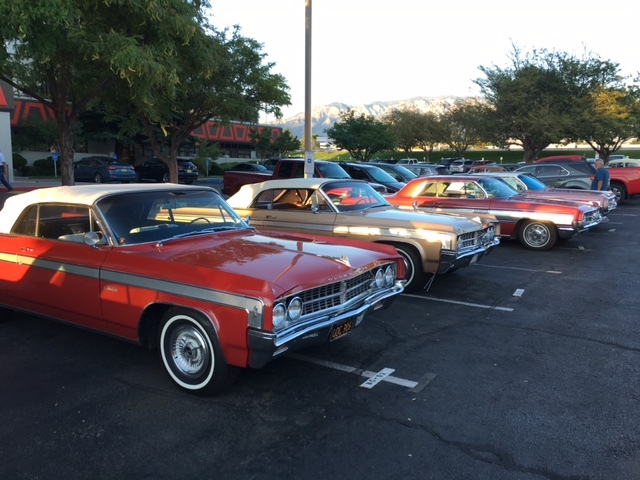 The Monday morning of July 17th was sunny and warm in Barstow at the Mc Donald’s restaurant meeting location where our caravan gathered for a 9:00am jump off for our first leg of the journey to Albuquerque New Mexico. 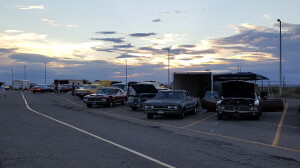 Our initial caravan group consisted of our truck & trailer with the race car, new member Jerry Wade and his wife Joyce trailering their freshly restored 68 Cutlass, Don and Gina with their 71 W-30, the Parsons driving their brand X SUV, Jeff Stanish and his son with their mid-80’s Delta 88, and Joe Tannerbauer with his trusty Prius. 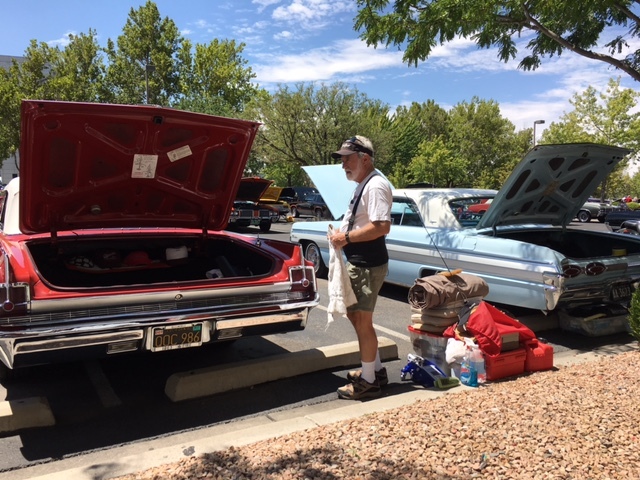 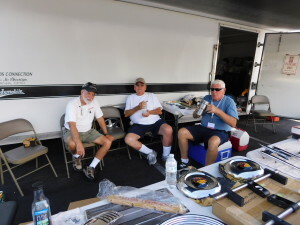 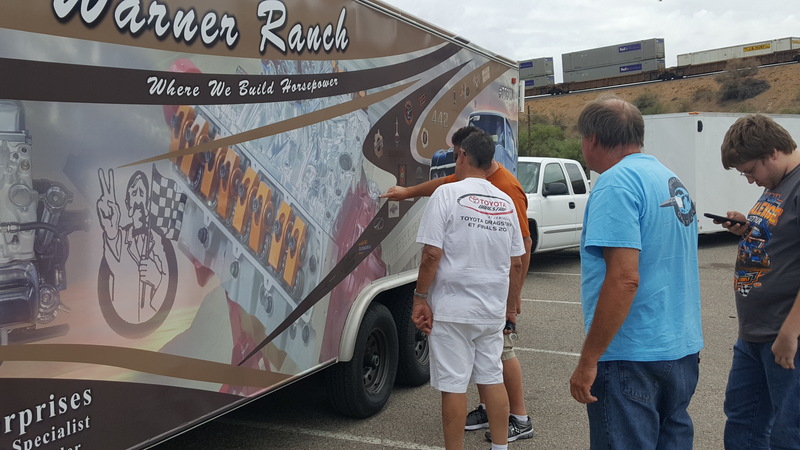 There was another group of So Cal and Nor Cal folks that had left earlier in the day including Larry Ewing, Milton Yee, Keith Berg, Art Whitney and a couple of others in an attempt to beat the heat across the desert. 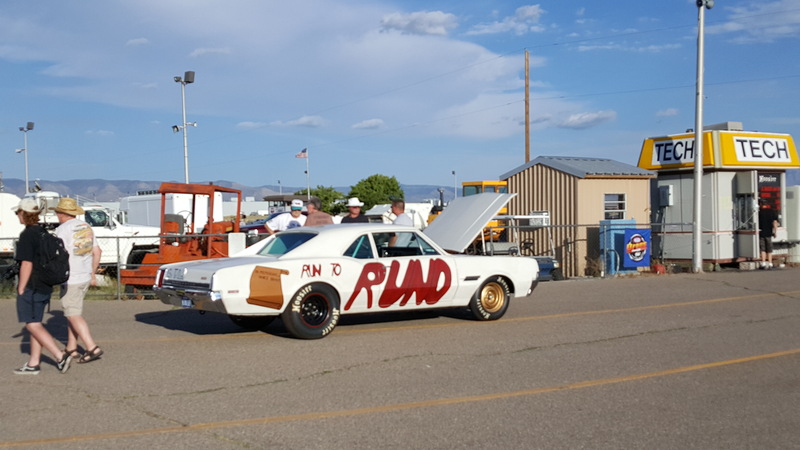 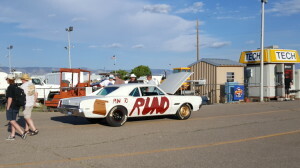 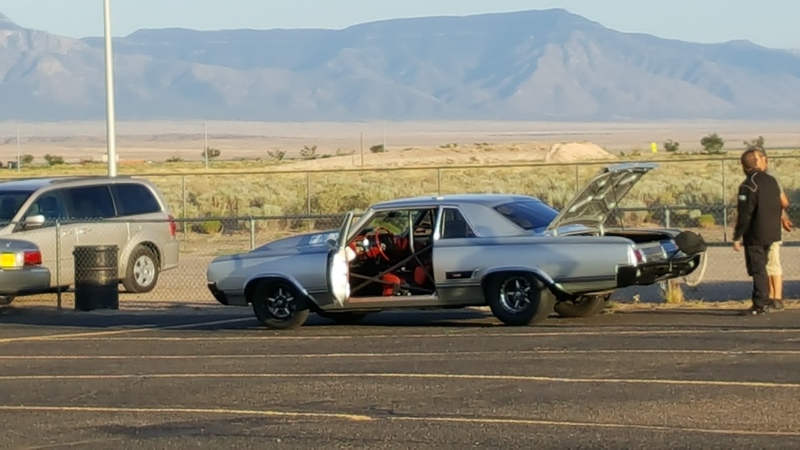 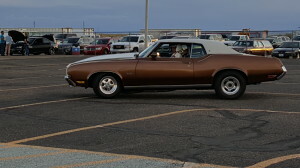 The first leg of our drive included two gas/restroom stops and the only vehicle problem encountered was Don’s W-30 which blew an a/c pressure line making a bit of a mess in the engine compartment and rendering the a/c unusable for the remainder of the trip (bad timing in the desert). 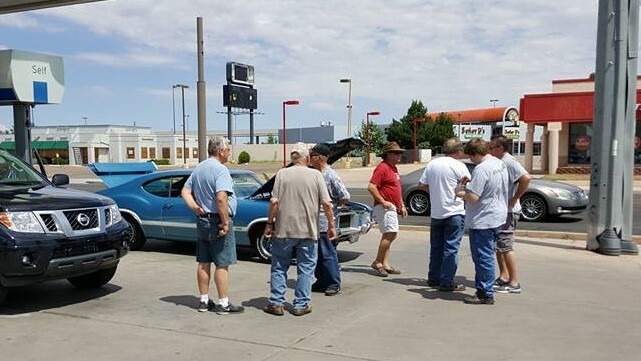 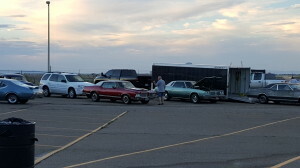 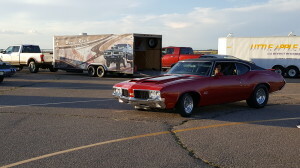 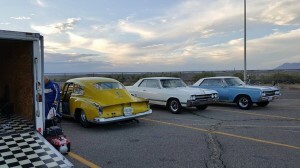 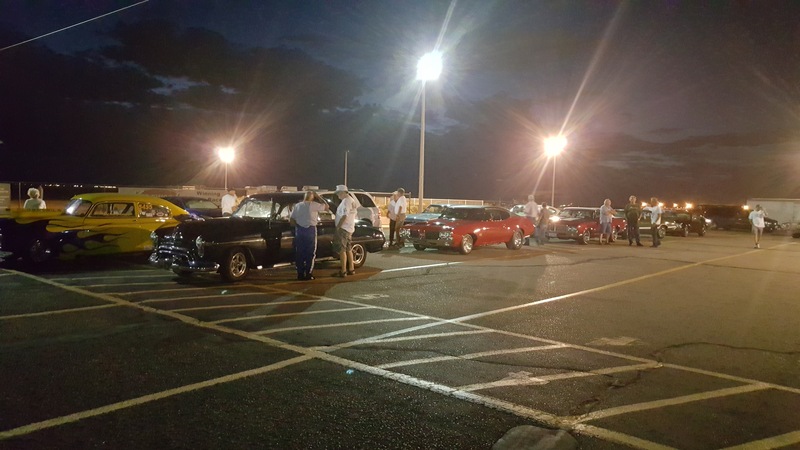 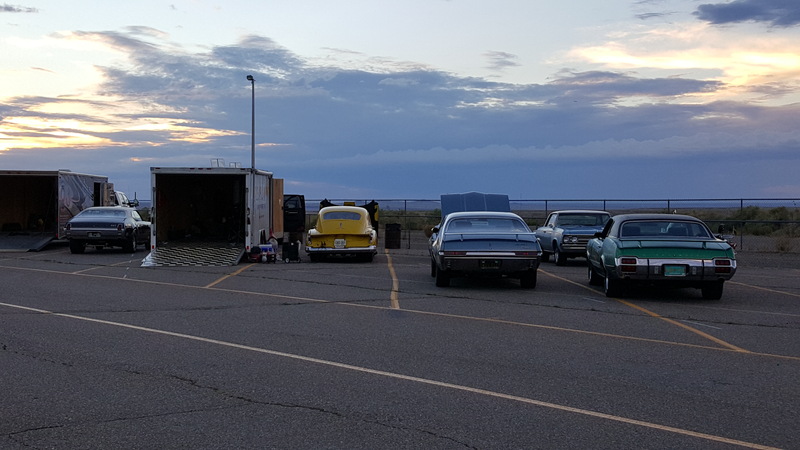 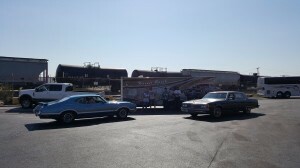 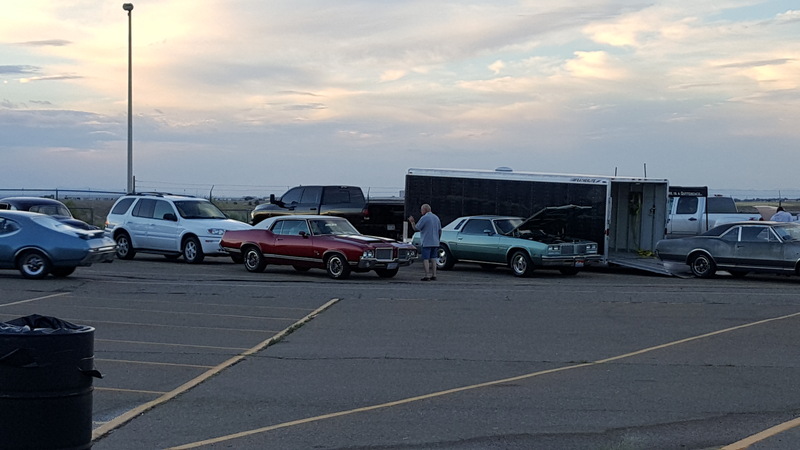 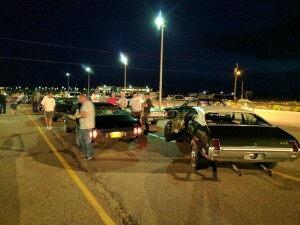 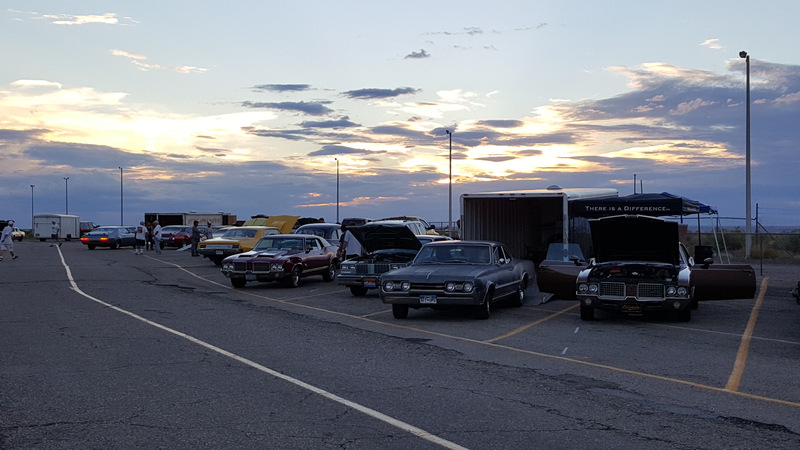 When we stopped in Winslow to evaluate this problem and get fuel, we met up with some members of the Arizona chapter including Jim Shultz trailering his beautiful unrestored 58 Olds as well as Art Whitney in his 50’ 88 and Jim Lentini and his grandson Dominic with his 52 Olds who had left earlier in the day. 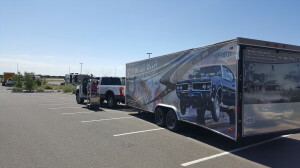 One of the Nor Cal members had a tire blow out right in Winslow and was already being assisted by other club members to get back on the road so once we fueled up, we headed out on our way to Flagstaff. 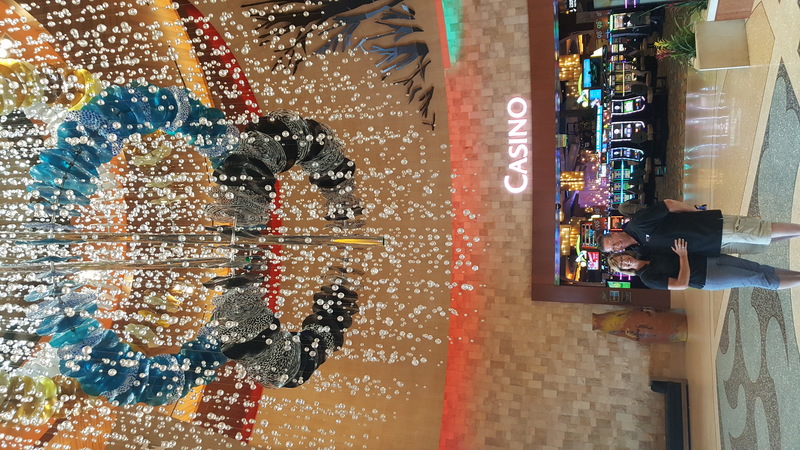 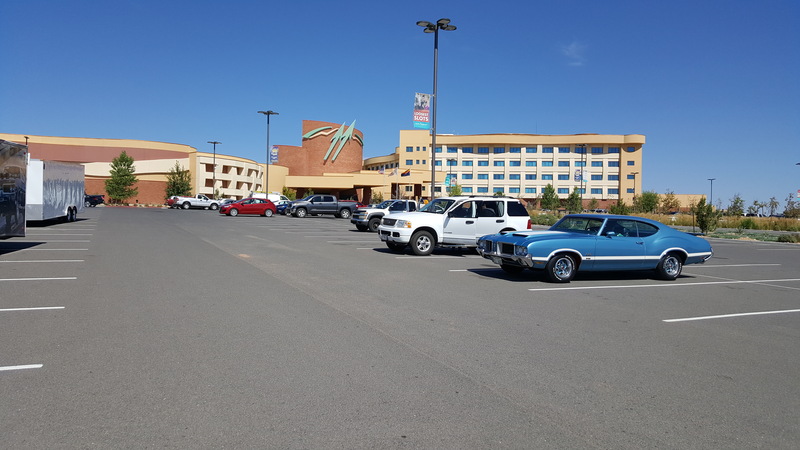 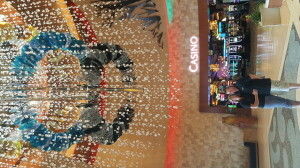 The Twin Arrows Casino/Hotel on the far side of Flagstaff was our first evening stop and was a very nice facility with great rooms, friendly service, good food, and of course, gambling! 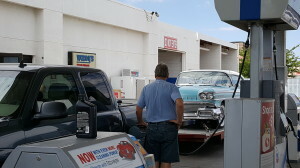 There had to be some restraint here not to spend all our gas money..lol.. 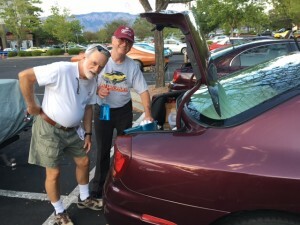 The following morning, we re-grouped in the hotel parking lot and headed out on our way to Albuquerque, again with two scheduled gas/ food stops. 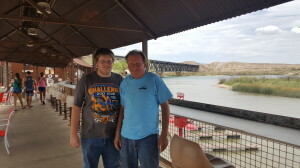 This leg of the trip we encountered some rain but not severe enough to stop so we marched on. Apparently, some of the earlier caravan groups actually had to stop on the side of the road to let the storm pass due to the severity. 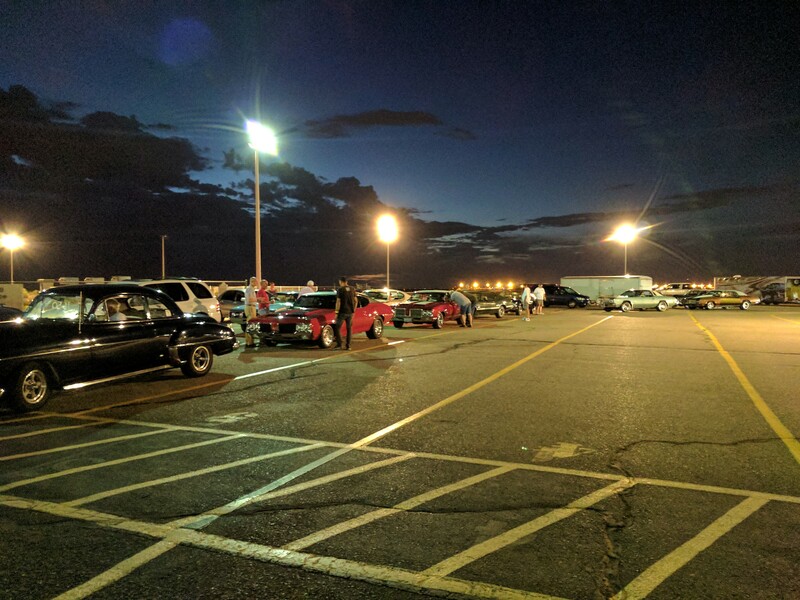 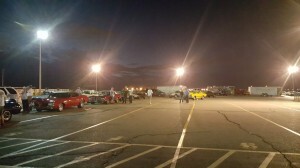 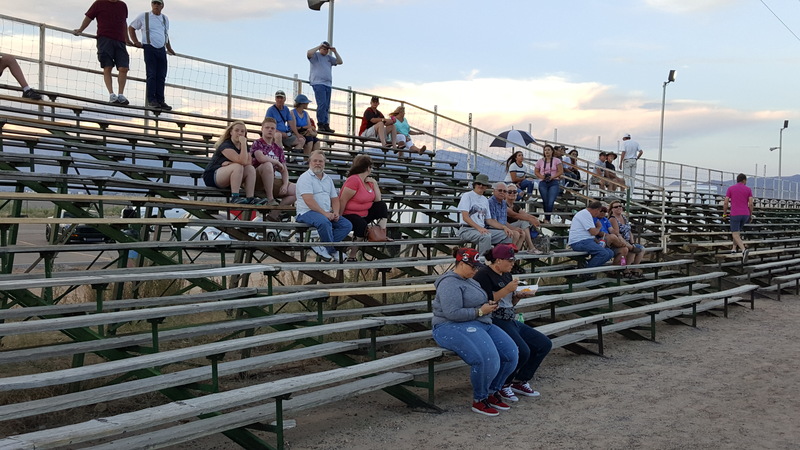 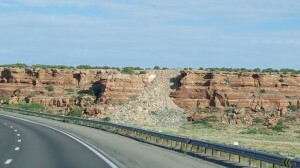 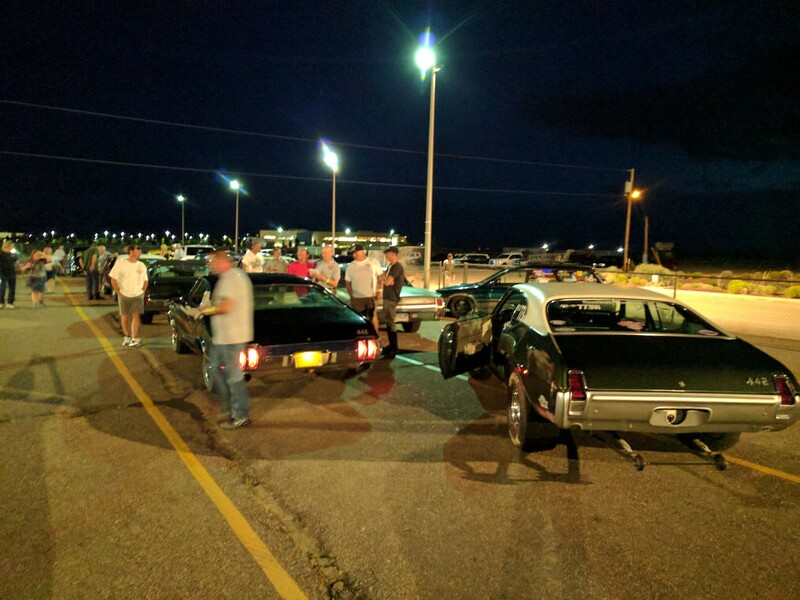 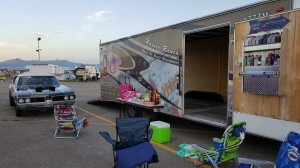 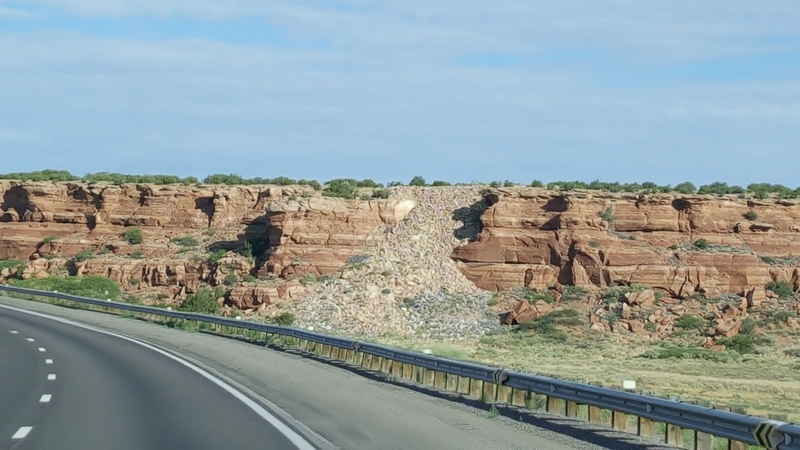 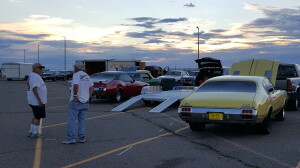 We arrived in Albuquerque around 5:30pm on Tuesday without any breakdowns or problems and all found their way to their rooms and parking spaces. 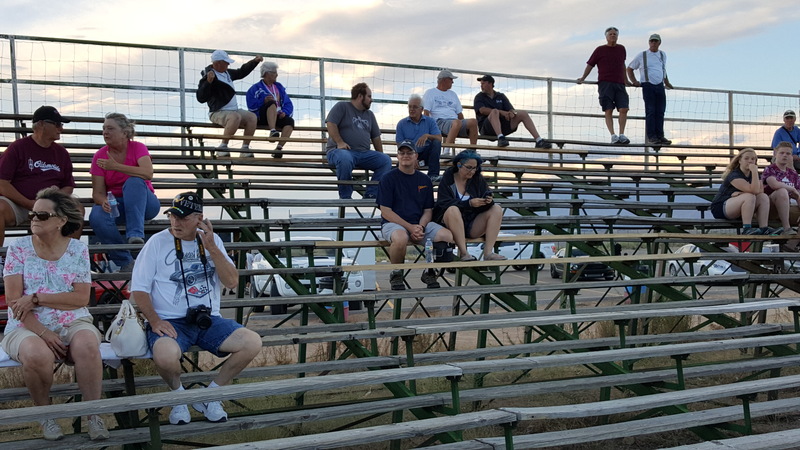 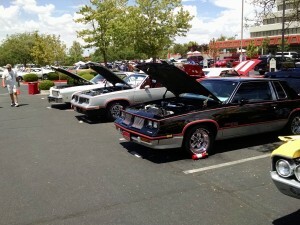 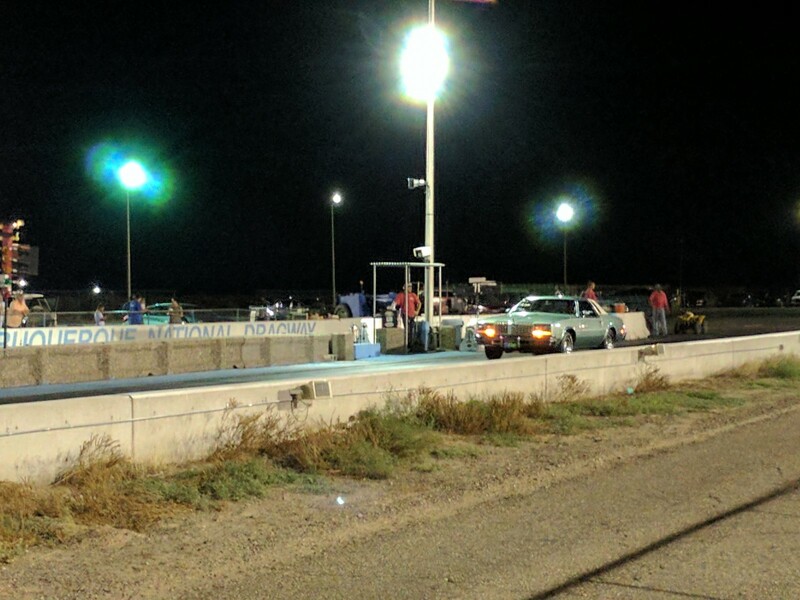 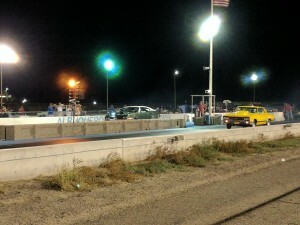 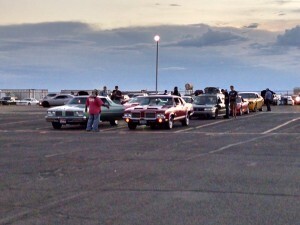 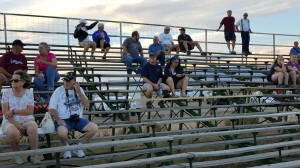 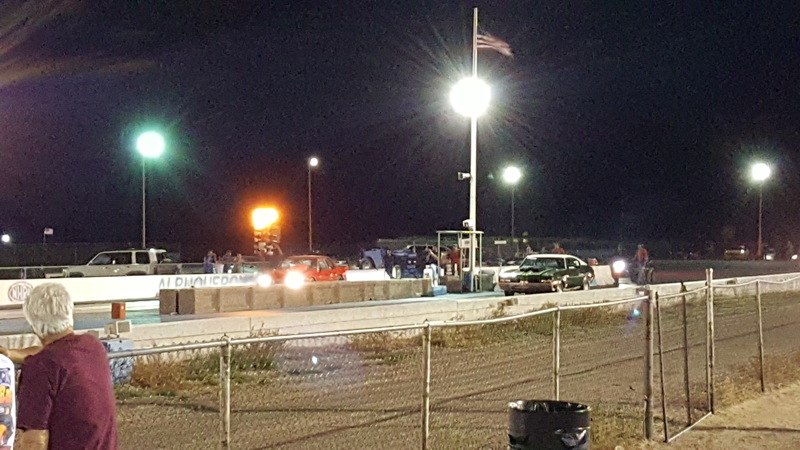 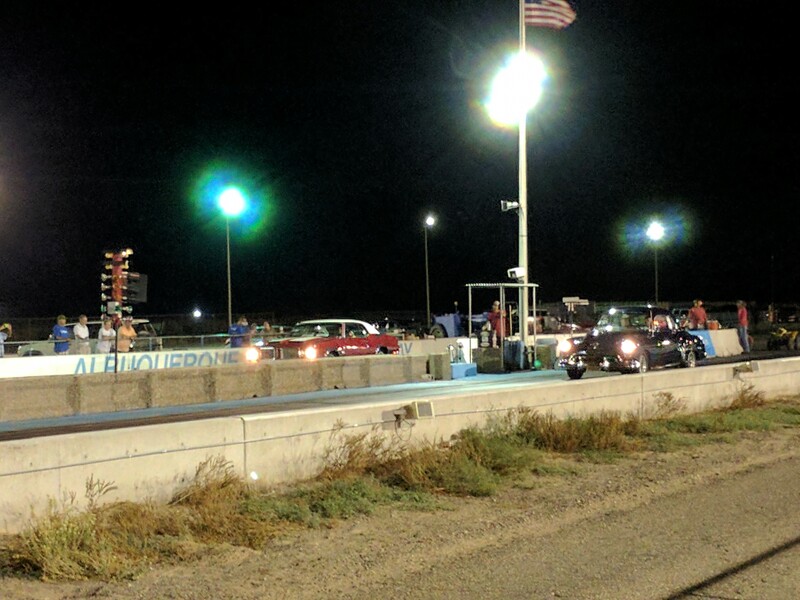 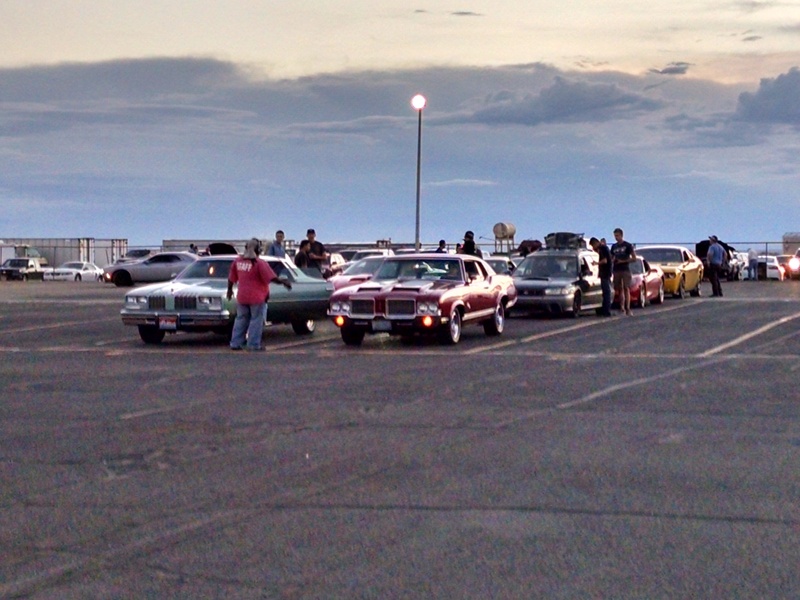 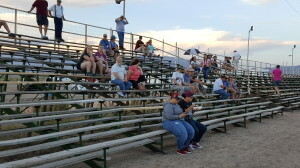 OCA Nationals Stories By Jim Lentini and his Grandson Dominic. 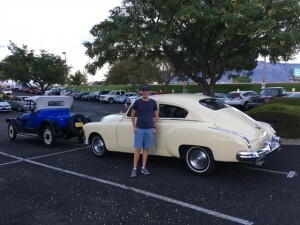 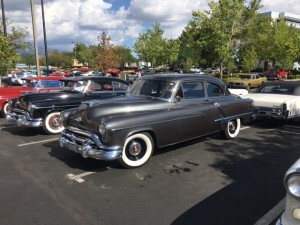 When Mike Izzo advised me of the caravan to Albuquerque with his Starfire, Jamie Cox’s Starfire, and Al Allande’s Alero, I was excited to finish the upgrades to my 52 of adding power steering and air conditioning for the trip. 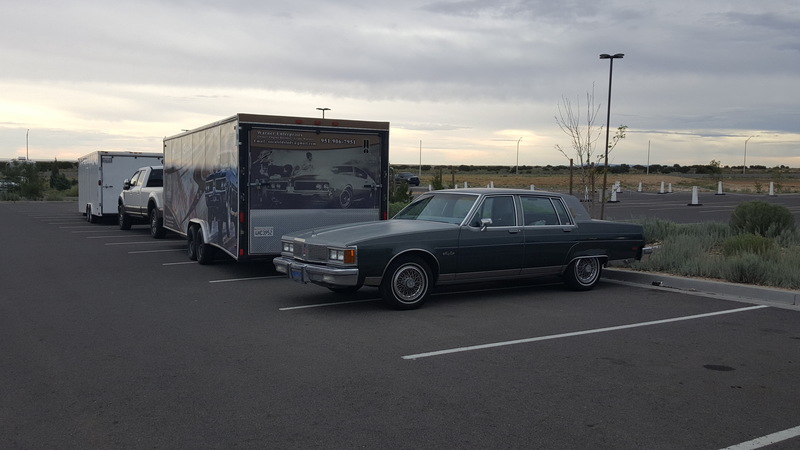 After all, my 52 was the oldest car on the road for our trek to Lansing in 1997, so it should be an easy 1,600 mile round trip compared to the 5600 back in 1997! 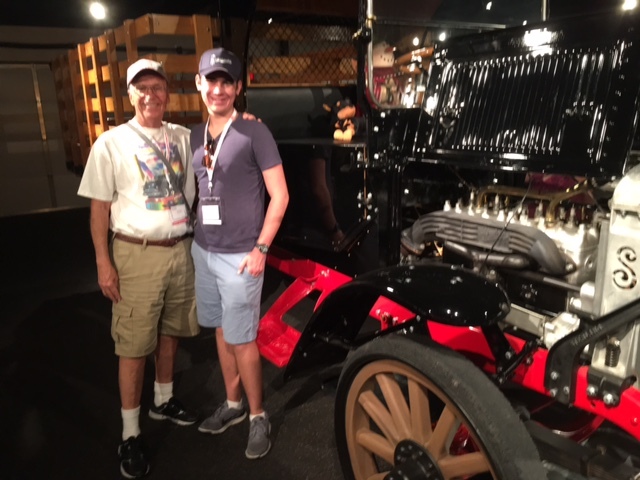 More importantly, my oldest grandson Dominic Lentini, age 17 was joining me for this 10 day adventure! 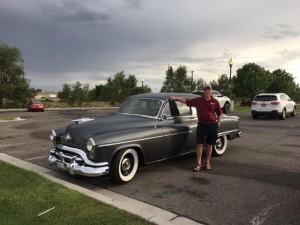 This 52 Super 88 2dr sedan is creating a much different reputation and remembrance than its predecessor that I had from 1957 to 1962. 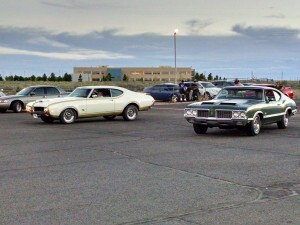 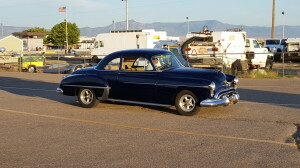 This car reminds me of the same car that was built and raced beating the Chevy’s in the 50’s. 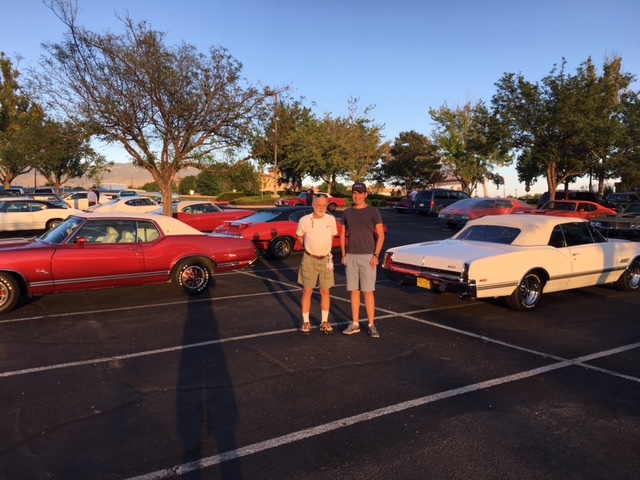 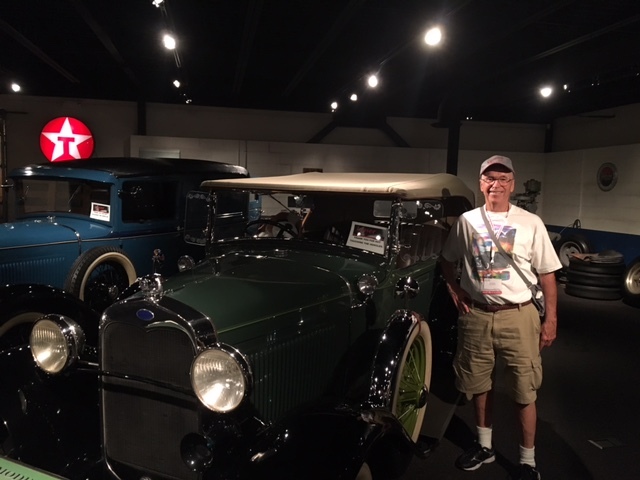 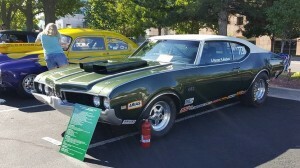 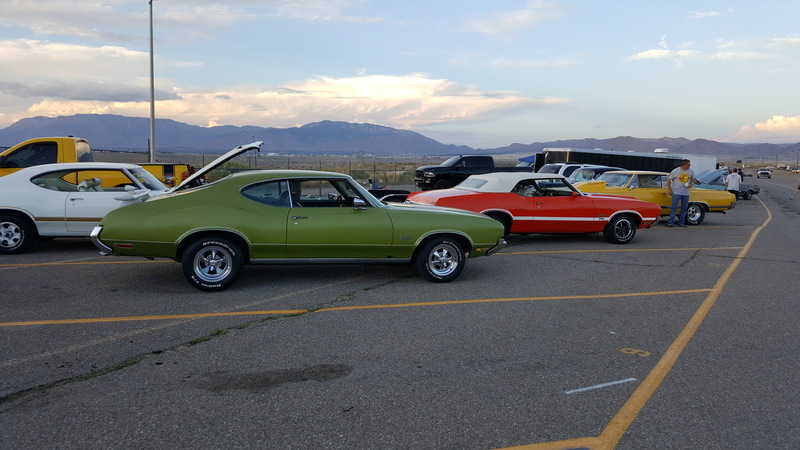 And, this trip to the National’s is much different than back in 1997 as my buddie from the 50’s Curt Blomstrand from our days in the Noblemen Car Club of Van Nuys made that trip special. 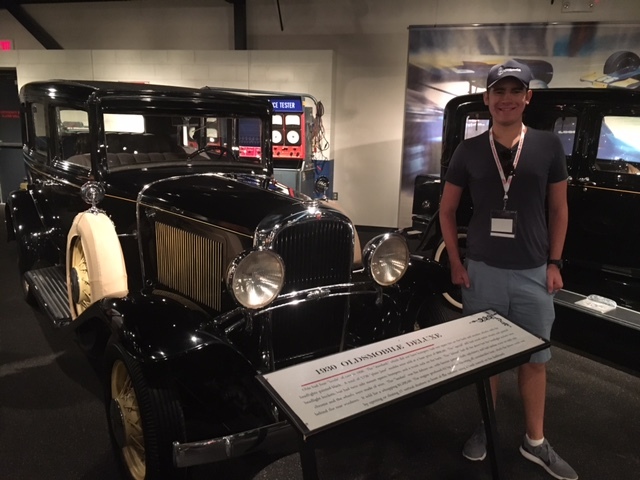 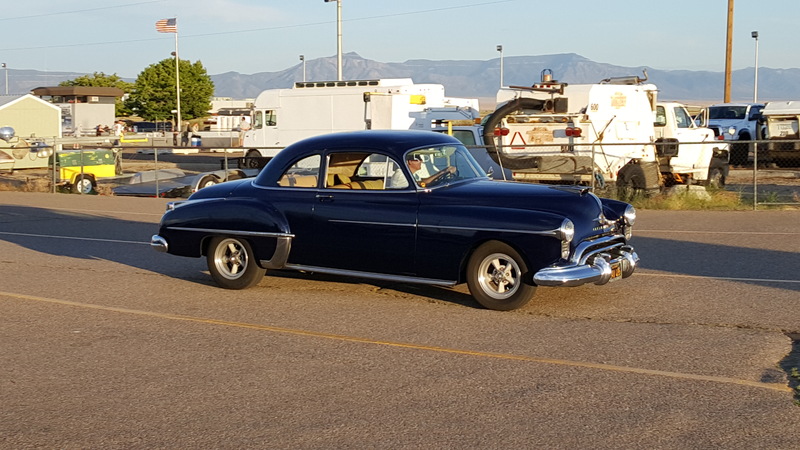 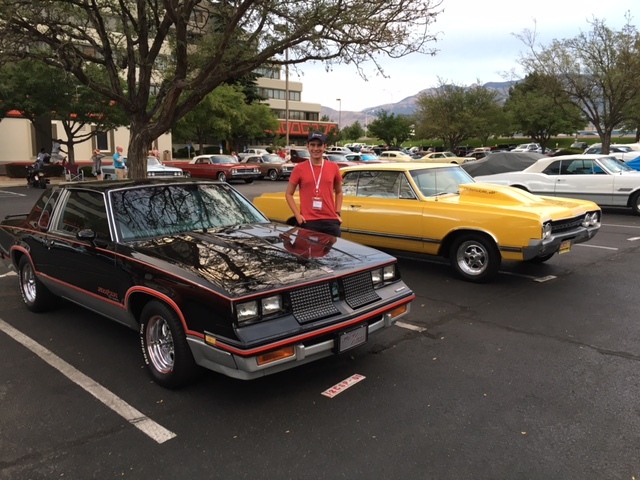 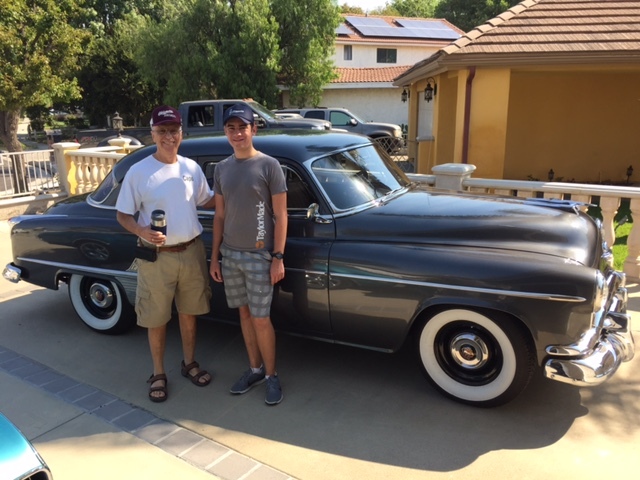 But know that this one with my grandson who is a car nut (his father says he gets that from me) is much different as he and I get to spend 10 days really getting into cars, learning from each other, and creating a special remembrance of our new/old 1952 Olds car history. 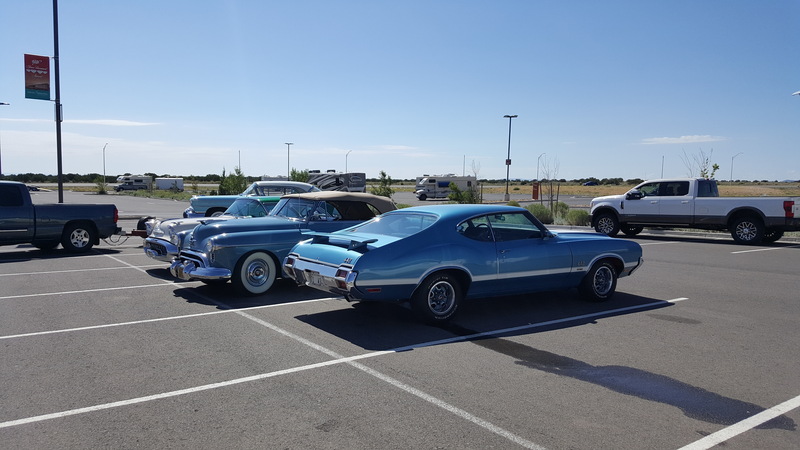 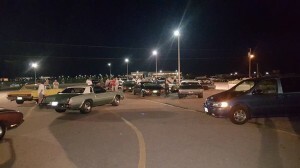 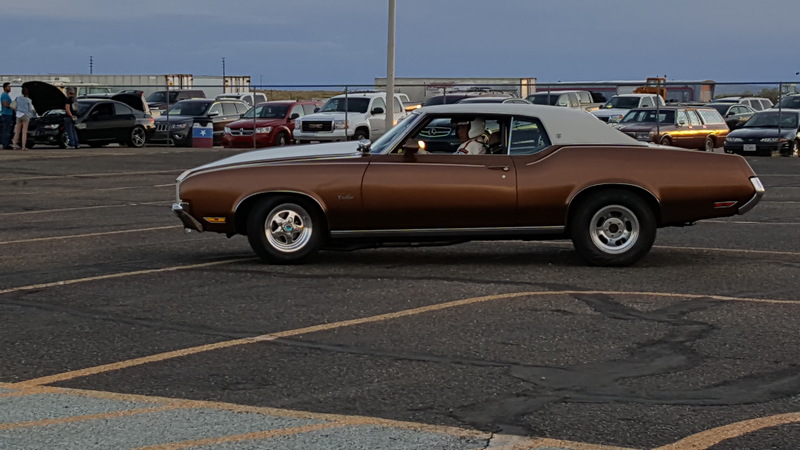 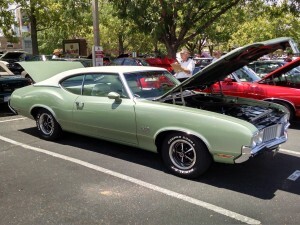 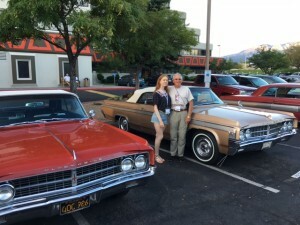 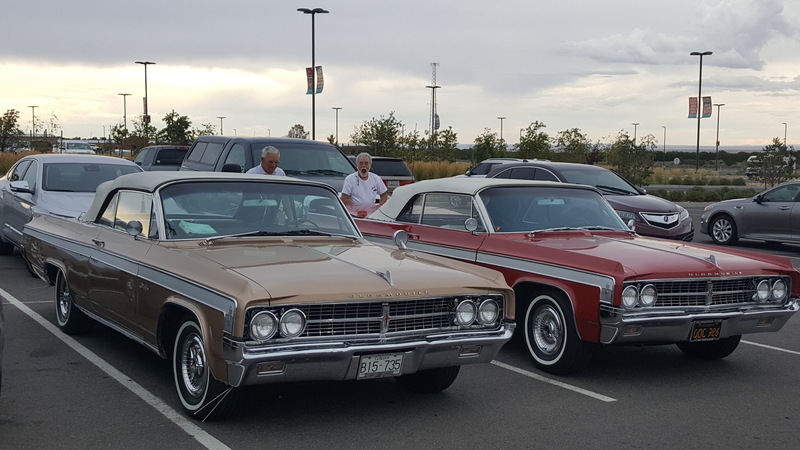 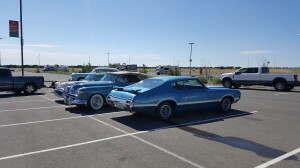 When July 15th arrived, my son Nick brought Dominic to our house in his 1968 Hard top 442 and we went up to Denny’s to meet the armada and had breakfast together with my wife Susie and our group for our send off and took pictures of our cars before hitting the road. 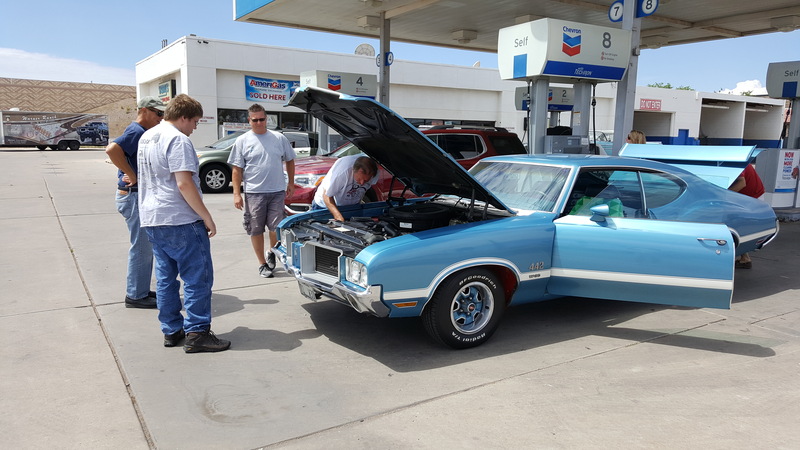 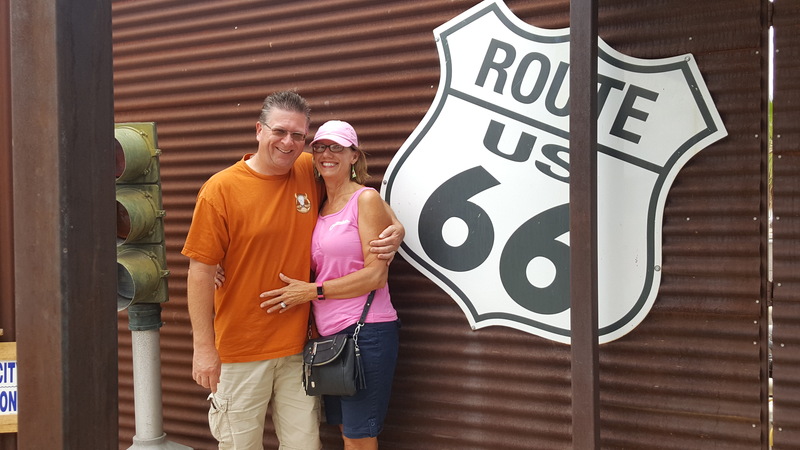 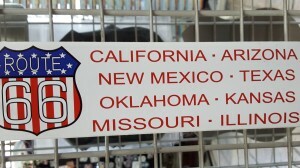 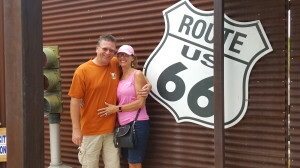 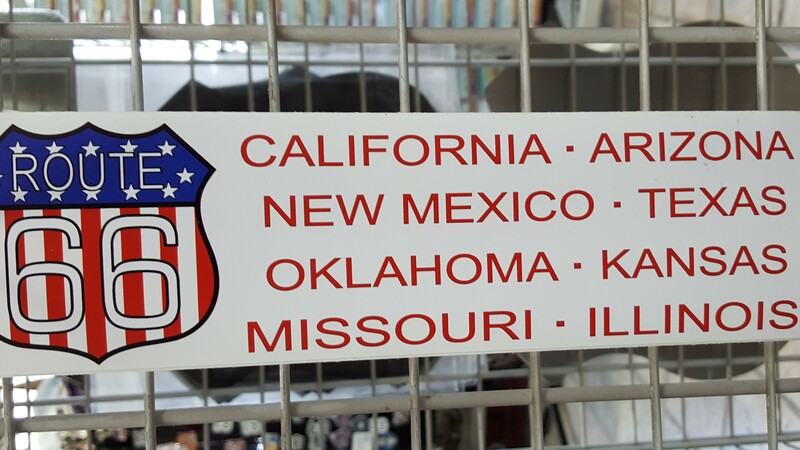 Our first stop was Barstow to get into the rhythm for the Sunday trek to Flagstaff for our first big day and getting out of the 110 degree heat of the California desert! 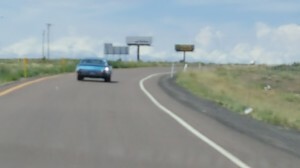 Fortunately, Jamie had some rainex with him as I forgot it and didn’t have working wipers on the 52. 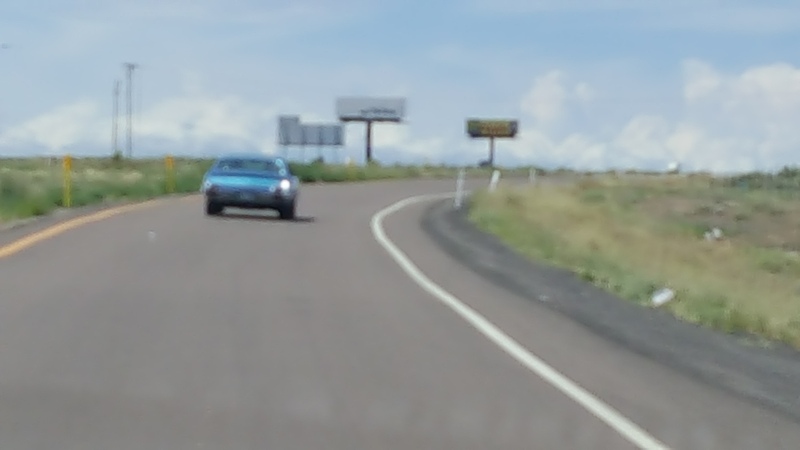 We were expecting some rain before getting into Flagstaff and it turned into a storm that was intense. We got out of it ASAP, and made it to our destinations in Flagstaff. 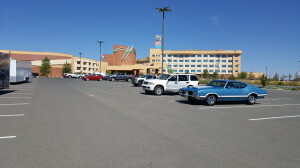 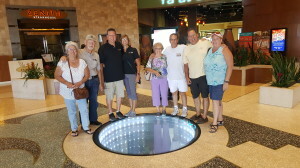 While in Flagstaff, Dominic and I stayed in town to visit friends while rest of group stayed at Twin Arrows Casino hotel outside of town. Monday morning Dominic and I joined the group and our caravan headed to Albuquerque. 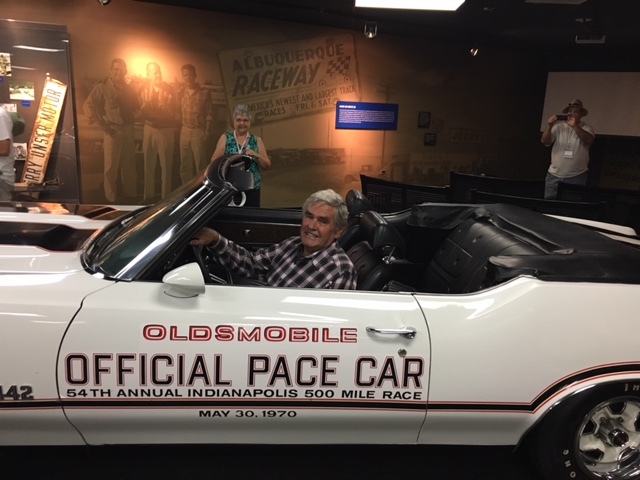 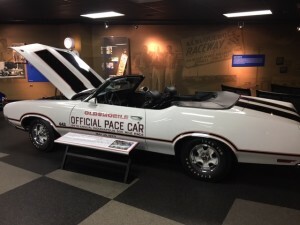 Once we got to Marriott Pyramid hotel, we settled in and got busy visiting with OCA friends, getting updates on all the cars, and Dominic doing his learning and research for our families Oldsmobile’s. 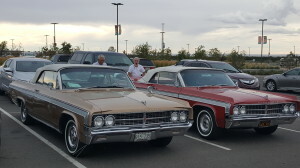 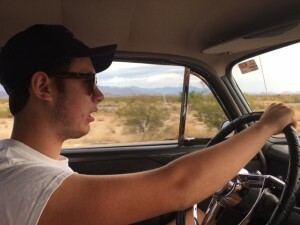 Dominic says when he graduates from college and gets a steady job; he intends to add to our Olds collection. 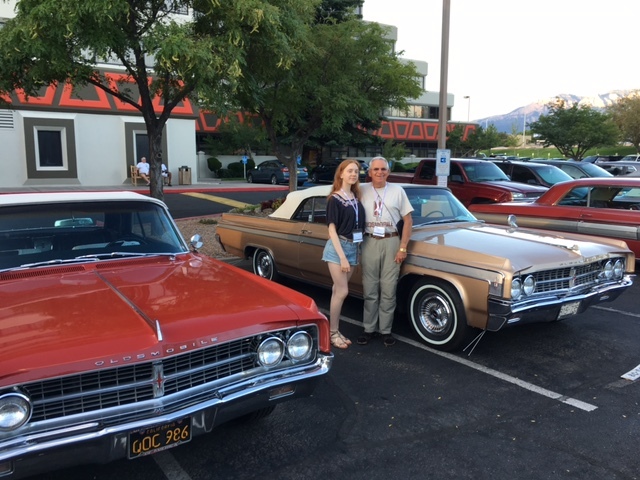 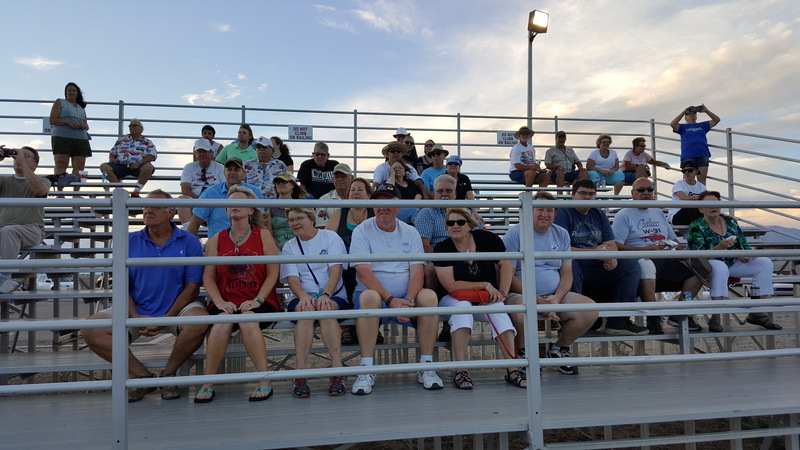 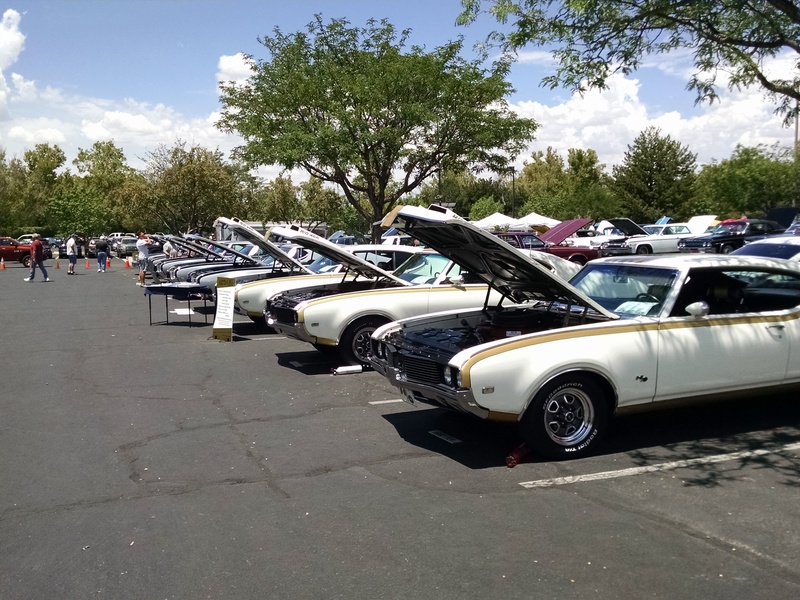 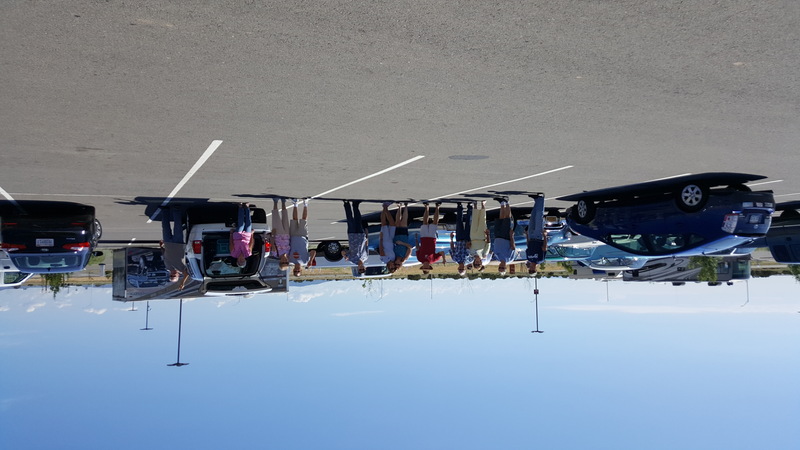 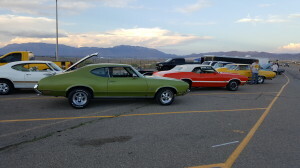 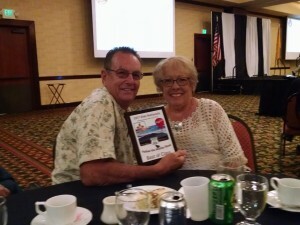 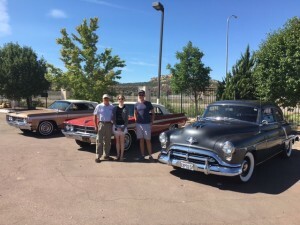 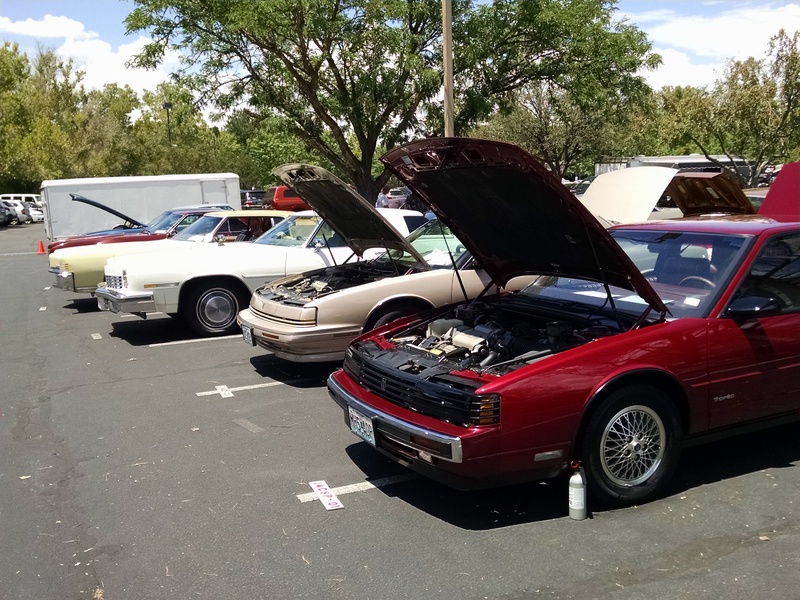 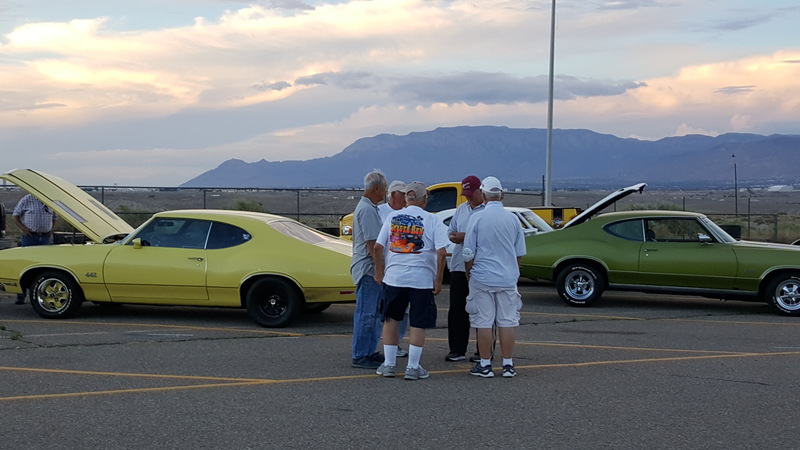 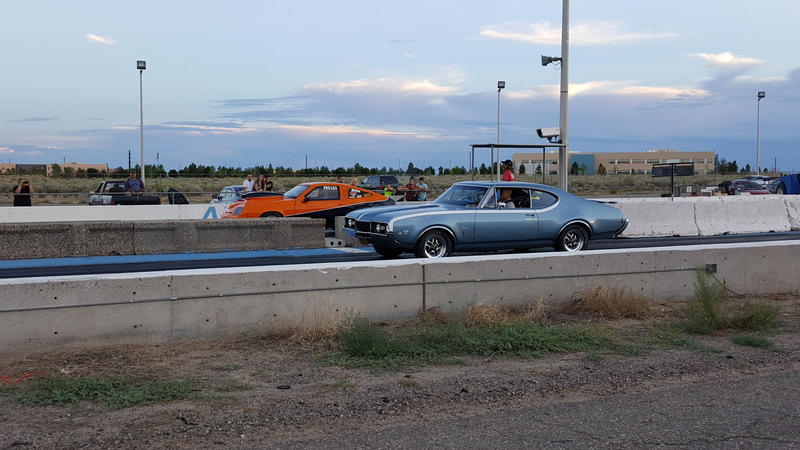 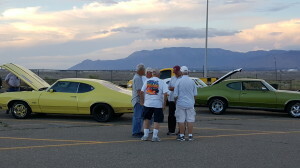 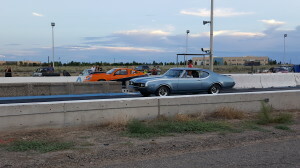 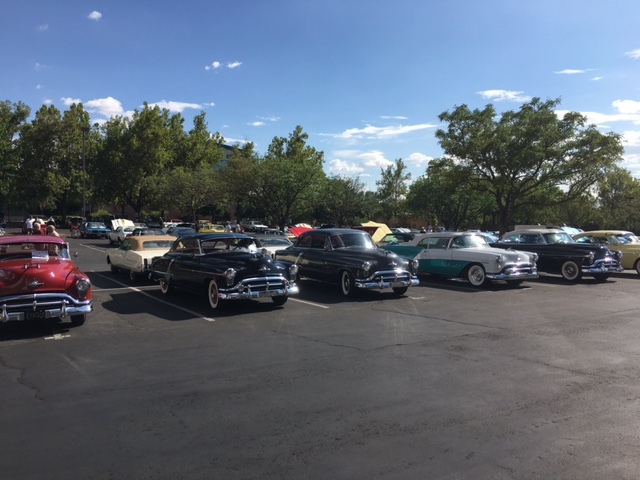 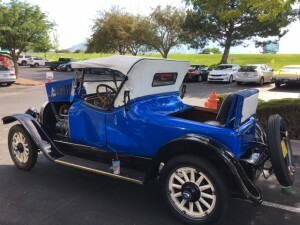 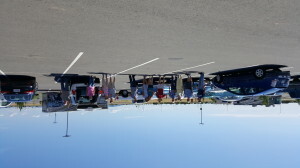 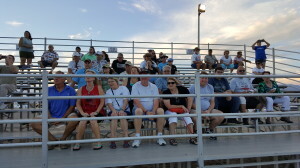 The host group in Albuquerque headed by Jim Wilson and Bob and Linda Surran were terrific and gave us referral to Worldwide Auto where Dominic and I took the 52 to get the PS adjusted for easier steering. It needed adjusting to reduce the turn catch problem until we get it home to work on it. 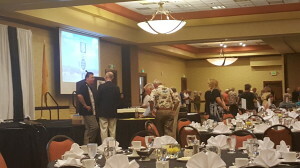 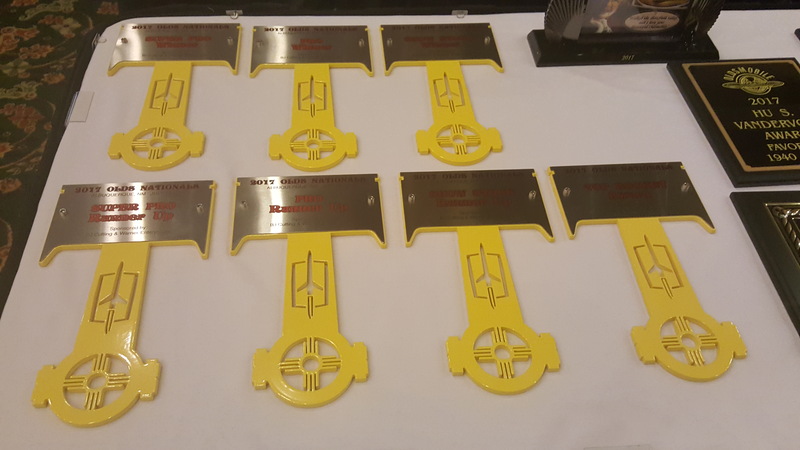 At the awards banquet, Dominic received an award for youngest driver to the Nationals, and it was well deserved as he did well handling the steering issue on the many road work detours we encountered in Arizona. 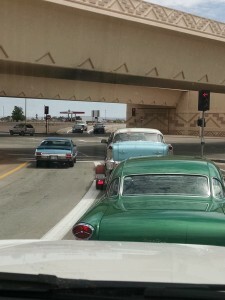 Our trip home was adventurous as we went through few more rain storms and the last one just before getting into Barstow. 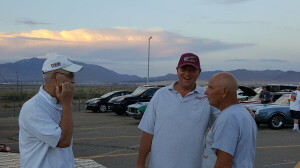 When the group stopped to spend the night, Dominic and I stopped to say goodbye then Dominic and I headed home. 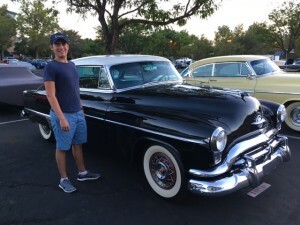 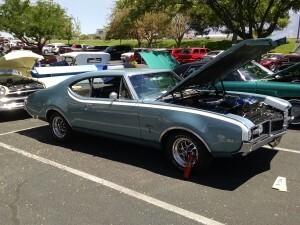 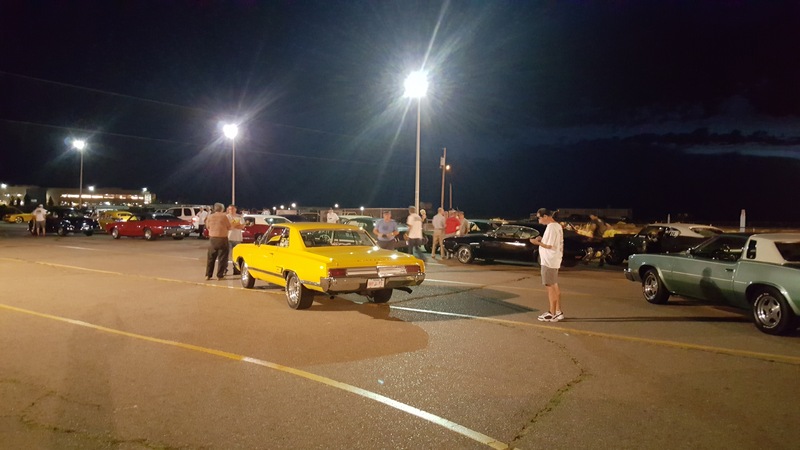 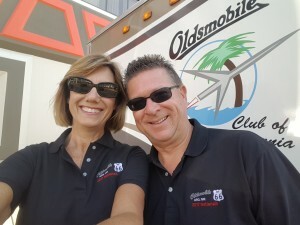 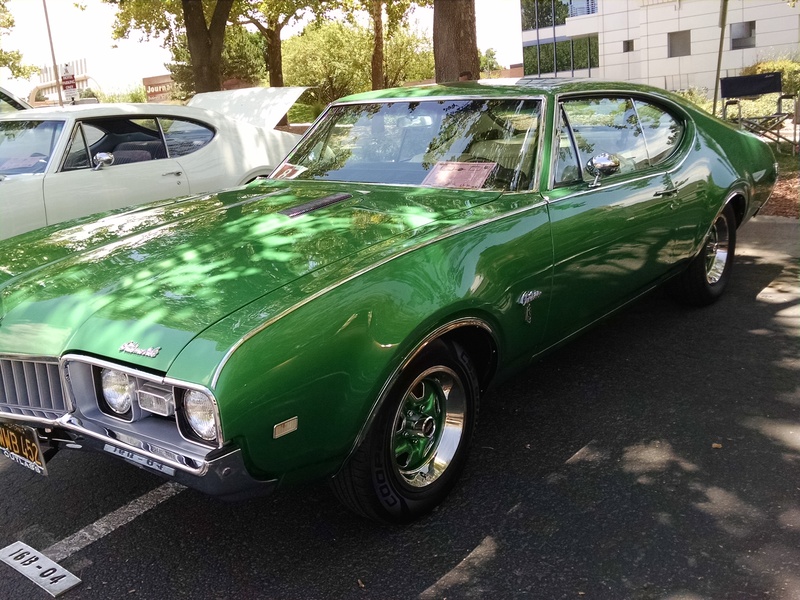 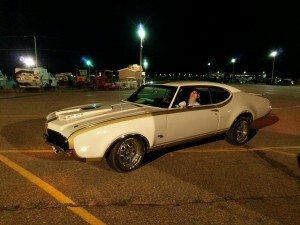 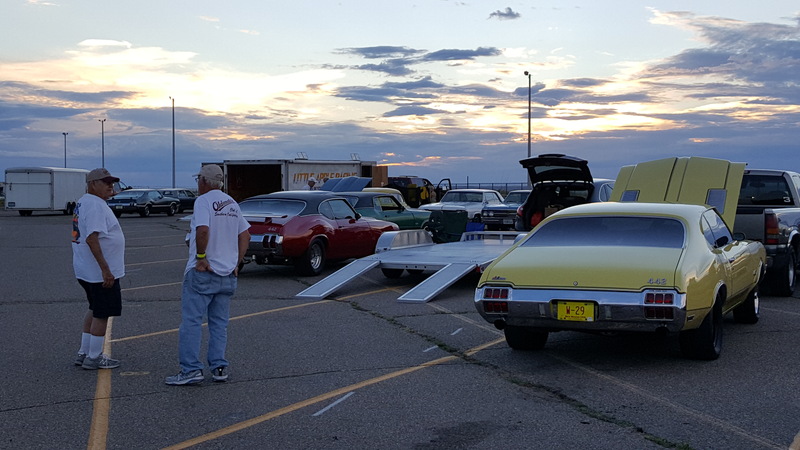 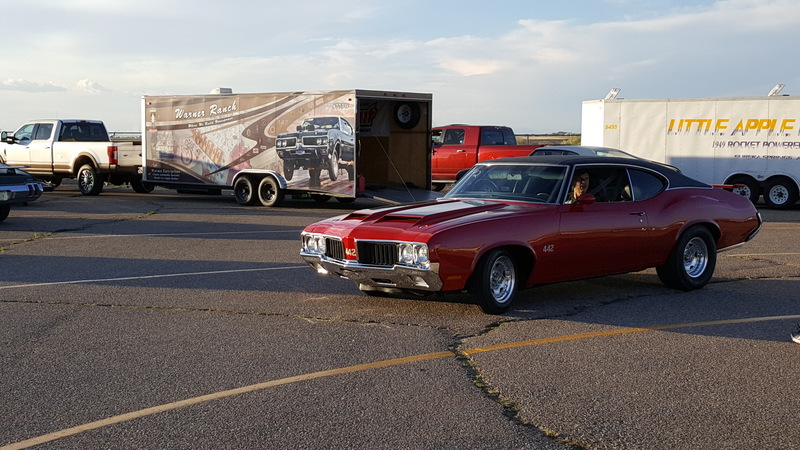 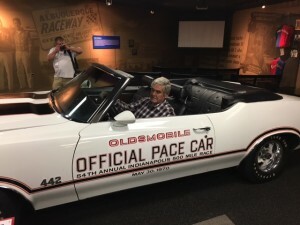 Dominic will always remember our adventure getting to and from the show, and being able to see and share all 215 Oldsmobile’s and talks cars with many of our members and friends. Now, we are busy working on finishing the rehab of the PS on the 52, and getting both Nick’s 442 and my 52 ready for our next adventures. 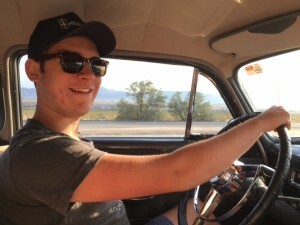 When we got home, son Nick drove the 52 with the Vintage Air AC and now he wants to put it in his hot rod 442 with the 70 W-30 motor. 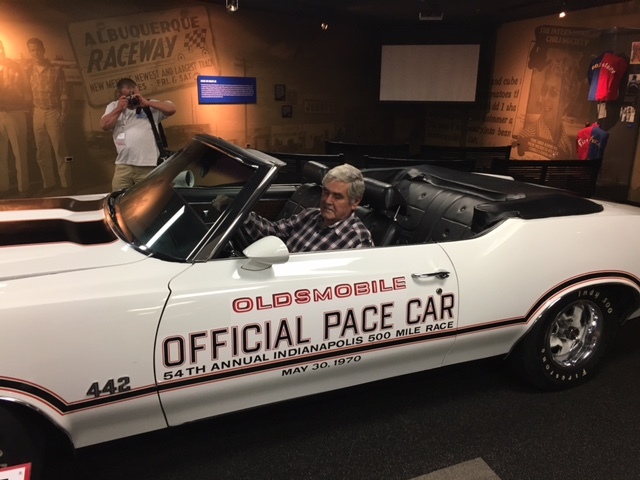 He also sent in his membership to our club. 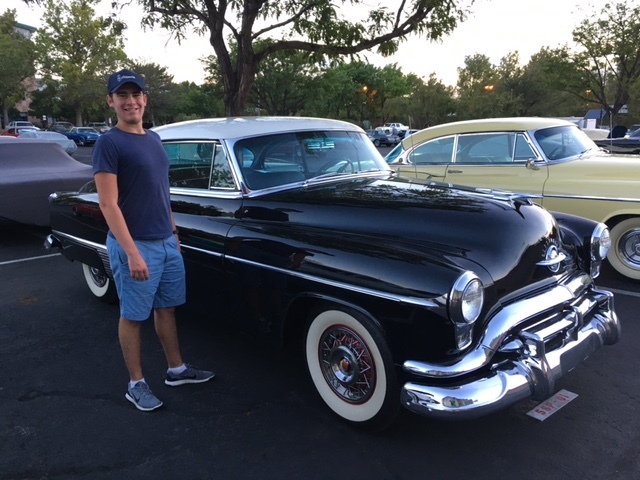 And, Dominic wants to join our club although his ownership of Oldsmobile’s is sharing and serving his Dad’s and Grandfathers Oldsmobile’s! 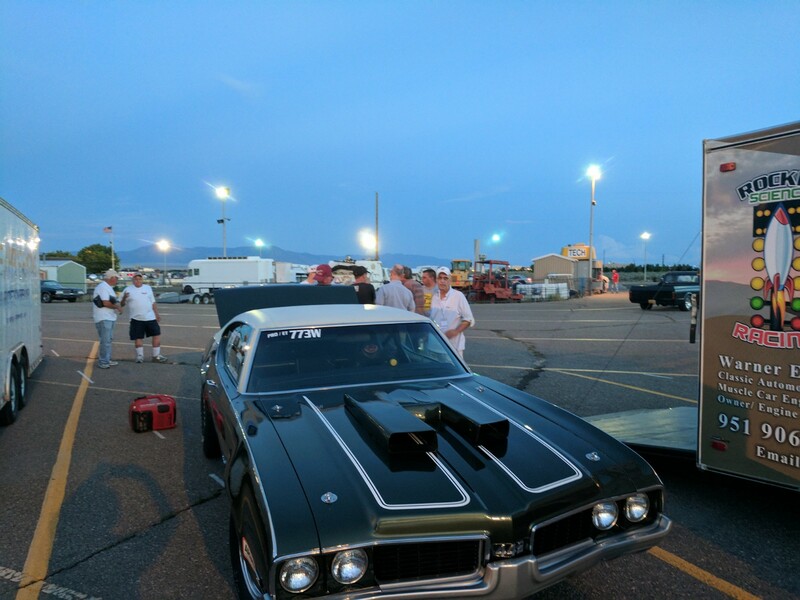 And, we also got first place in our modified stock class! 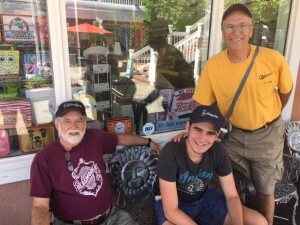 All in all, it was a great trip and adventure for all of us and especially Dominic and me!